This River is for Generations not Generation - Why even Risk Damaging such a Beautiful Place ??? This Area may soon Disappear, if not for Your Help! 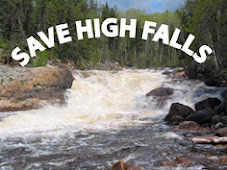 A proposed HydroElectric development will drastically change High Falls on the Grassy River. 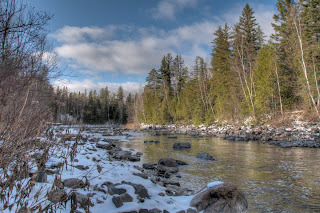 The scenic beauty of these rapids and waterfall, only 23 km from downtown Timmins, will be lost forever as the river flow is forced into a large pipe to feed the turbine and generator. The falls, as we now know it, will cease to exist. The preliminary work has already started as an environmental screening process is now happening. Public input will be sought probably in early Spring 2008 or 2009 or 2010 or 2011 or 2012 - Who knows ? Posted by Markus at 12:01 p.m.